Clean, ONLY 69,460 Miles! WAS $29,650. FJ Cruiser trim. Satellite Radio, Running Boards, iPod/MP3 Input, CD Player, Bluetooth®, 4x4, CONVENIENCE PKG, ROOF RACK, TOWING RECEIVER HITCH W/WIRE HARNESS, Tow Hitch, OFF-ROAD PKG SEE MORE!KEY FEATURES INCLUDE4x4, Running Boards, Satellite Radio, iPod/MP3 Input, Bluetooth®, CD Player MP3 Player, Steering Wheel Controls, Child Safety Locks, Electronic Stability Control, Bucket Seats.OPTION PACKAGESCONVENIENCE PKG remote keyless entry, cruise control, exterior pwr mirrors w/illuminated markers, rear wiper, exterior spare tire cover, auto-dimming rearview mirror w/integrated backup camera, rear privacy glass, OFF-ROAD PKG trail-tuned Bilstein shocks, electronically controlled locking rear differential, active traction control (A-TRAC), floating ball type multi-info display w/inclinometer/compass/temp gauge, ROOF RACK, TOWING RECEIVER HITCH W/WIRE HARNESS. 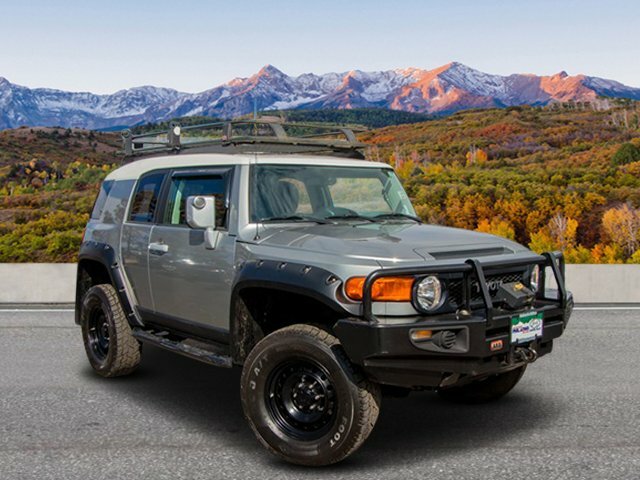 Toyota FJ Cruiser with Silver Fresco Metallic exterior and Dark Charcoal interior features a V6 Cylinder Engine with 260 HP at 5600 RPM*. 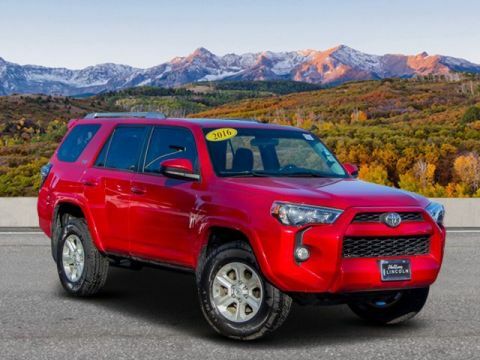 New Tires, New Brakes.EXPERTS REPORTThe FJ Cruiser is more than just funky, chunky looks it's a capable off-roader, too. 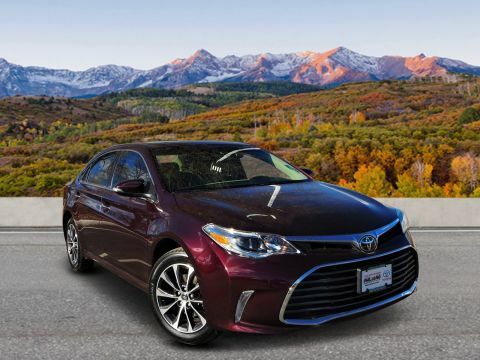 -CarAndDriver.com.EXCELLENT VALUEReduced from $29,650.3 Day Exchange Policy for Peace of Mind! !Hyundai of Chapel Hills 1540 Automall Loop Colorado Springs Co 80920ARB Winch and Bumpers with roof rack with awning ! !Load of offroad extras !!! ARB Bumpers with winch and roof rack with awning !! !The strength of Hyundai of Chapel Hills competitive advantage is the result of its ongoing commitment to Philip Long's vision ~ Commitment to the community, quality customer service and exceptional value. 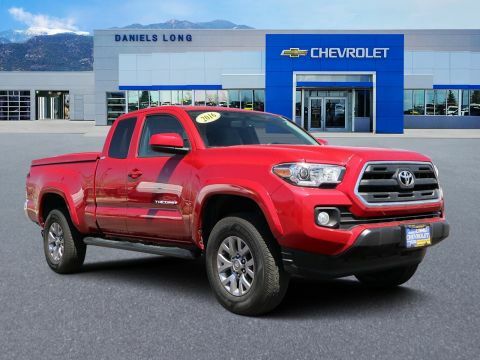 Over the years, the Phil Long Family of Dealer Pricing analysis performed on 4/22/2019. Horsepower calculations based on trim engine configuration. Please confirm the accuracy of the included equipment by calling us prior to purchase.Offer is valid through 2019-04-24.